Is RMCTC the right fit for your son or daughter? It’s natural for parents to worry about how to guide their teenager through their decisions about school and how to prepare for a future career. Sometimes the options are confusing or seem overwhelming. Help is available right here, right now! 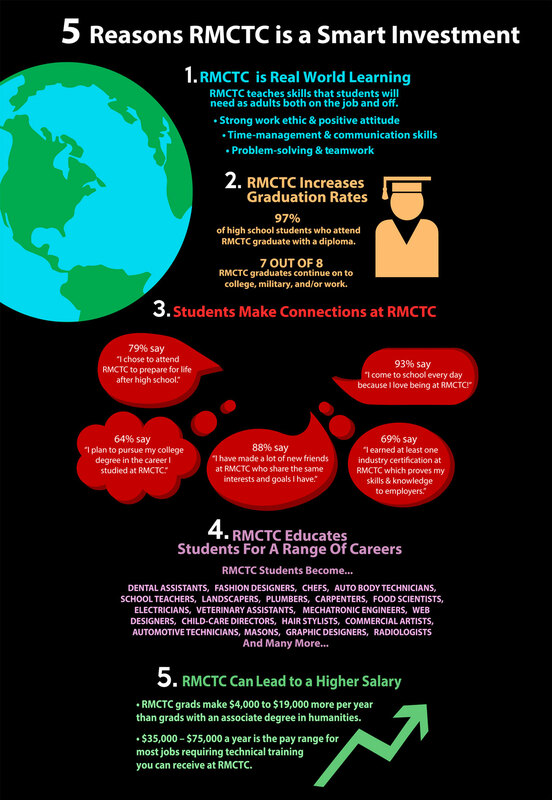 Discover 5 reasons why RMCTC is a smart investment. 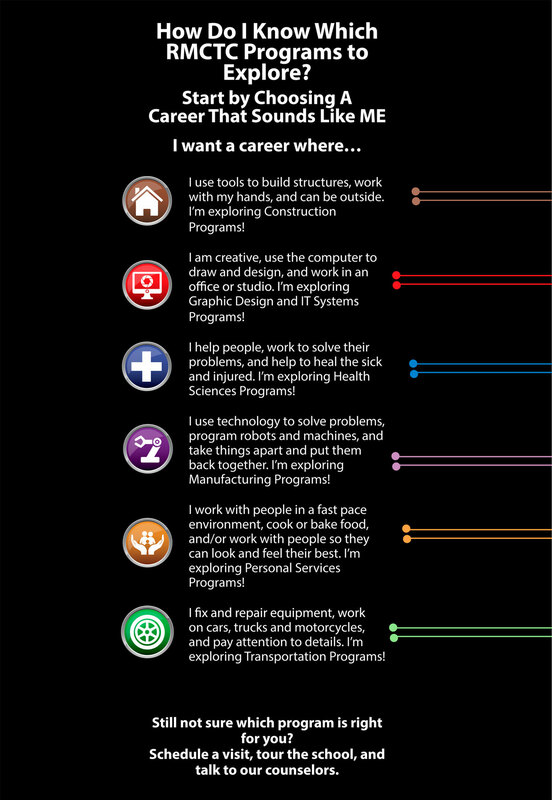 RMCTC offers 30 programs within 6 career clusters. Narrow the choices down by seeing which cluster may be the right one for your student.